What better way to fulfill the St. Edward’s motto than to explore multilingualism and multiculturalism? Through our courses, internship opportunities, and study abroad options, you can start the process right here on campus and continue the journey almost anywhere in the world. Our mission statement informs our approach to teaching at all levels. Whether a first semester language course or an advanced film seminar, our courses provide students with the linguistic skills, intercultural competencies, and critical thinking skills they need to succeed beyond the classroom. In fact, extracurricular learning begins right here. We offer for-credit internships, volunteer opportunities and countless study abroad options. 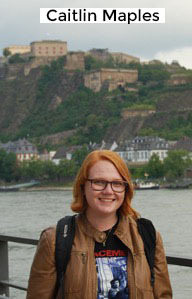 Check out what French major and German minor Stefanie Smith is up to! Serving as a Peace Corps volunteer in Kaffrine, Senegal, Stefanie has been busy putting the St. Edward's University ideals into action. The French and International Business double major helps train young entrepreneurs and is also the founder of the city's first waste management company. What do our alumni say about how their major or minor has affected their life after graduation? How did Hilltoppers take on their world in Summer 2016? Here are just a few examples of how St. Edward's students took on their world between semesters. 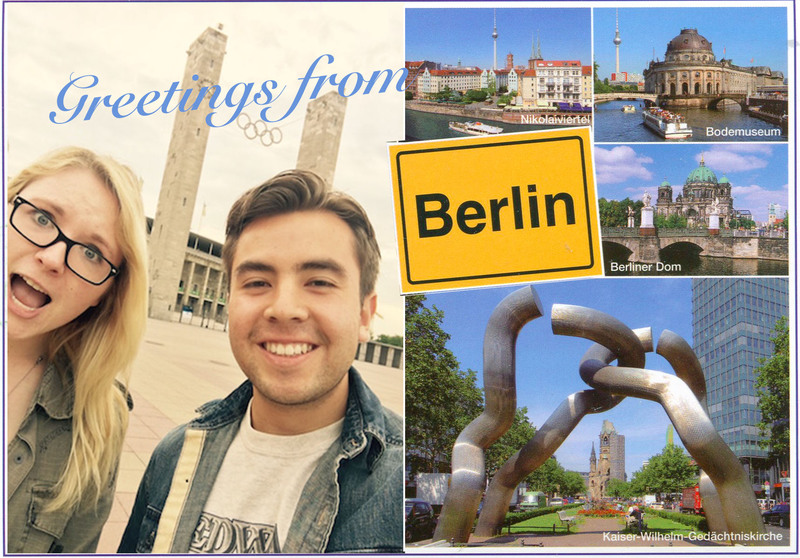 German minors Stephan Parra Robles and Jade Patterson traveled to Berlin for six weeks to hone their German language skills and study the city's rich and tumultuous history. The experience, Jade says, "has encouraged [her] to look into career paths that would lead [her] back there one day." Here, Jade and Stephan take a break from their studies and career planning to snap a selfie at Berlin's Olympic Stadium. 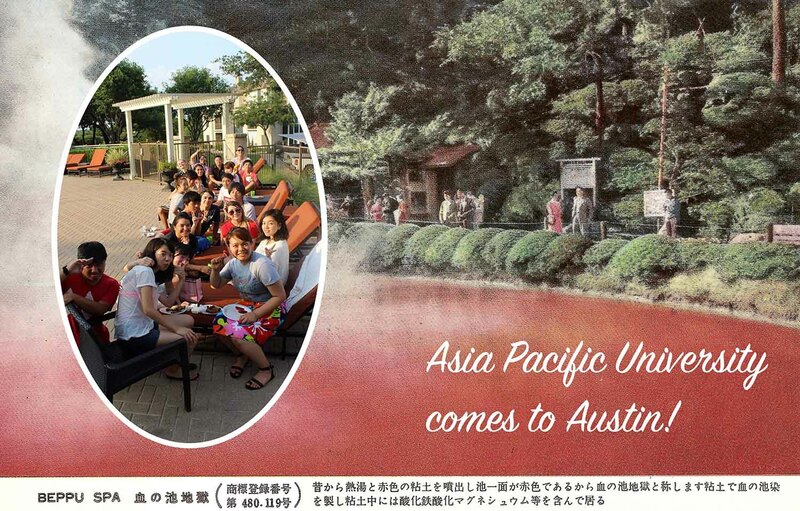 Biology major and student of Japanese Clarissa De Leon had the chance to enrich her knowledge of business practices and natural medicine while at SEU's partner campus, Asia Pacific University (APU), in the spring. Studying Japanese, she says, has "opened many unexpected windows, especially in biology." Clarissa found herself on the other sign of cultural exchange this summer, when she served as a "buddy" for APU students on the Hilltop (shown here celebrating and getting to know Austin). French major Shelby Bennet spent the month of July studying French in Angers. "Being immersed in a language is absolutely the best way to learn," Shelby says. We agree! 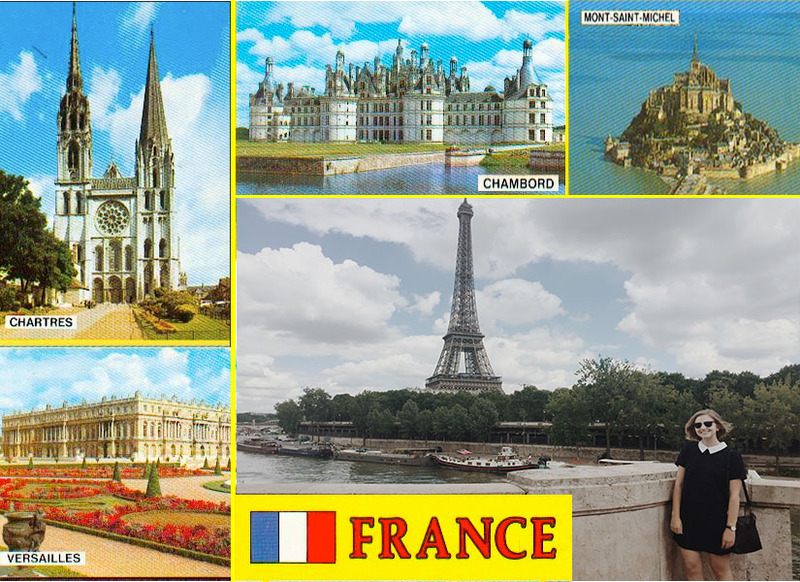 But her travels, which included a side trip to Paris, helped more than just her language skills. Her time in France, she says, has also expanded her self-sufficiency and global awareness. Students who are unsure what language course is most appropriate for their level can register for a placement test. These tests are offered by the School of Arts and Humanities each summer. They can also be arranged during the fall and spring semester using the link below. They are free to St. Edward’s students. Students also have the ability to earn credit for language courses using Advanced Placement (AP) or International Baccalaureate (IB) test results from high school or by taking a College Level Examination Program (CLEP) test. If you have questions, please contact Natacha Martin at natacham [at] stedward.edu. French, spoken by 274 million people worldwide, is an important language of trade and innovation in Europe, Africa, and right here in North America. Francophone writers, thinkers and politicians have shaped the world we live in today. Studying French prepares students well to enter a variety of fields, including business, medicine, journalism, military intelligence, and academics. The St. Edward's offers a Major and Minor in French, along with supporting a robust partnership with Université Catholique de l’Ouest in Angers, France. German is the language of Europe's largest economic power and is second only to English as the most common scientific language. Whatever your career goals, a background in German can open up countless opportunities. The Minor in German at St. Edward's allows students to work on linguistic skills and become familiar with the culture, history and politics of German-speaking countries. In addition to our courses, students can choose from several study abroad options to best suit their major and can pursue internships at home or overseas. The Arabic language is spoken by almost 200 million people in the world and is the predominant language in nineteen countries. Arabic is also the language of the Qur’an, the holy text for a billion Muslims worldwide. Now is the time for Americans to learn about Arabs and the Muslim world, and the best way to start is through the language. China, home to approximately 1.3 billion people and the largest country is the world, also has one of the fastest growing economies. As economies and cultures become more globally oriented, many opportunities are opening up for Chinese speakers. China is one of the largest trading partners of the United States, with many companies manufacturing and developing their products in China. In addition to China and Taiwan, Mandarin Chinese is also spoken in the important and influential Chinese communities of Indonesia as well as Singapore and Malaysia. There are approximately 130 million people that speak Japanese in the world. Japan is a major economic power and has the third-largest economy in the world. It is also a key player in international relations. Learning the Japanese language would be beneficial for those interested in global business or Japanese culture.